It’s been 20 years and yet if the film is on television right now, we know that everyone’s going to get glued to it. Such is the magic of SRK and Kajol in DDLJ. Rohit Sheety and team put up this amazingly cute video of SRK and Kajol celebrating 20 years of DDLJ. We tell you, it’s going to make you extremely emotional. You might want to grab some tissues while you watch it. They have tried to recreate certain scenes in the video from the movie and even today, after 20 years, there is something about SRK’s and Kajol’s chemistry that just doesn’t die! The video is trending like wild fire on all social media platforms with everyone sharing and tweeting about it. It’s the cutest thing on the internet today. Moreover in this version of 20 years of DDLJ video; they have also mentioned a couple of goof ups that could have been avoided in the film. Like Raj could have pulled the train’s chain instead of making Simran run so much. In short, all those videos that you have watched on the internet that put up a number of mistakes in the film, have reached the ears of the actors as well. 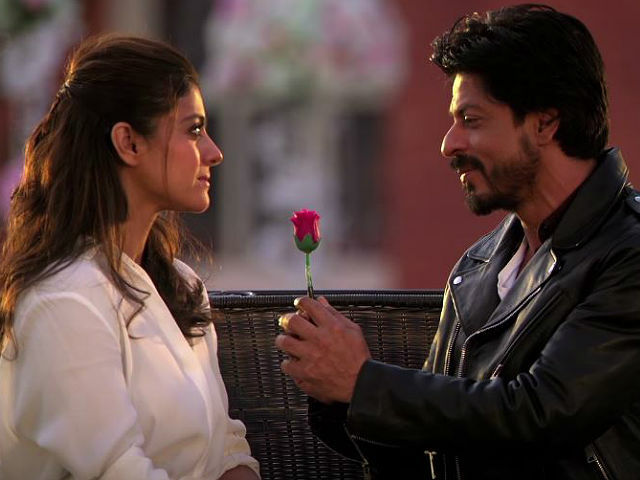 20 years of DDLJ will remind you how time flies, but certain feelings never die. It’s still such pleasure to watch these two actors on screen. Their chemistry is like wine, it grows better with time. Now with Dilwale releasing in November, we know that this is the best time to release such a video. We are expecting some high voltage action for the screens between Bajirao Mastani and Dilwale this year. With this video up, a day or two later after the release of Mastani Diwani, we are now waiting to see Bajirao’s next move. Coming back to the video, DON’T MISS THIS!